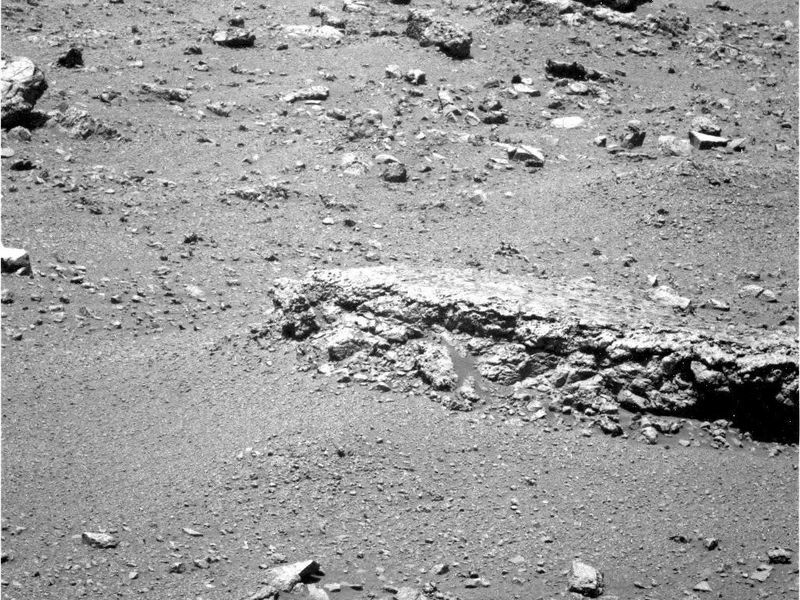 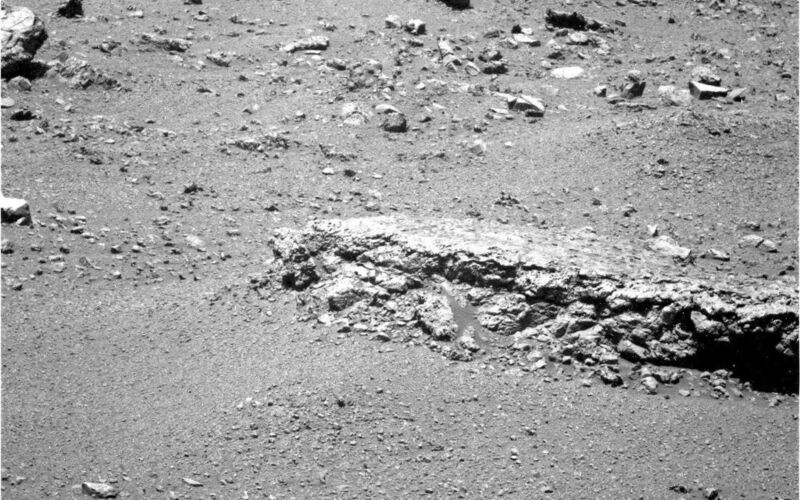 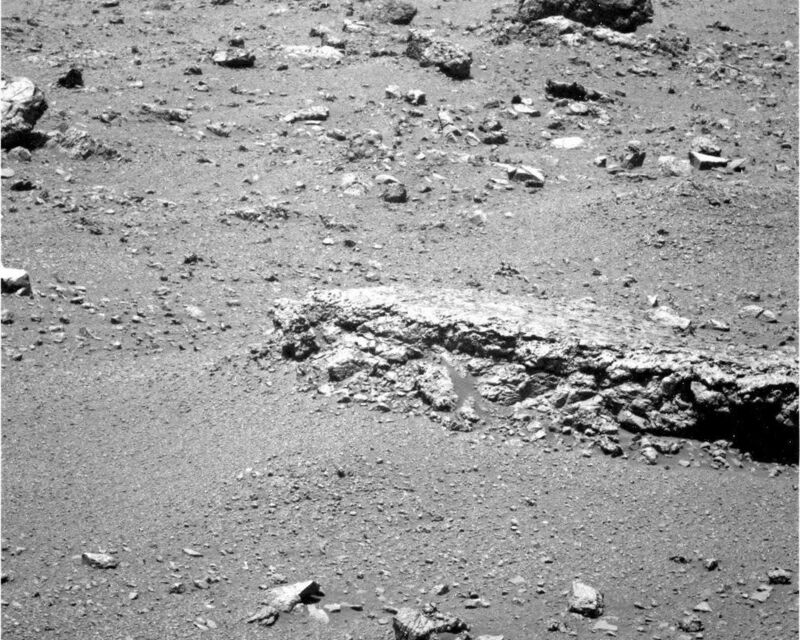 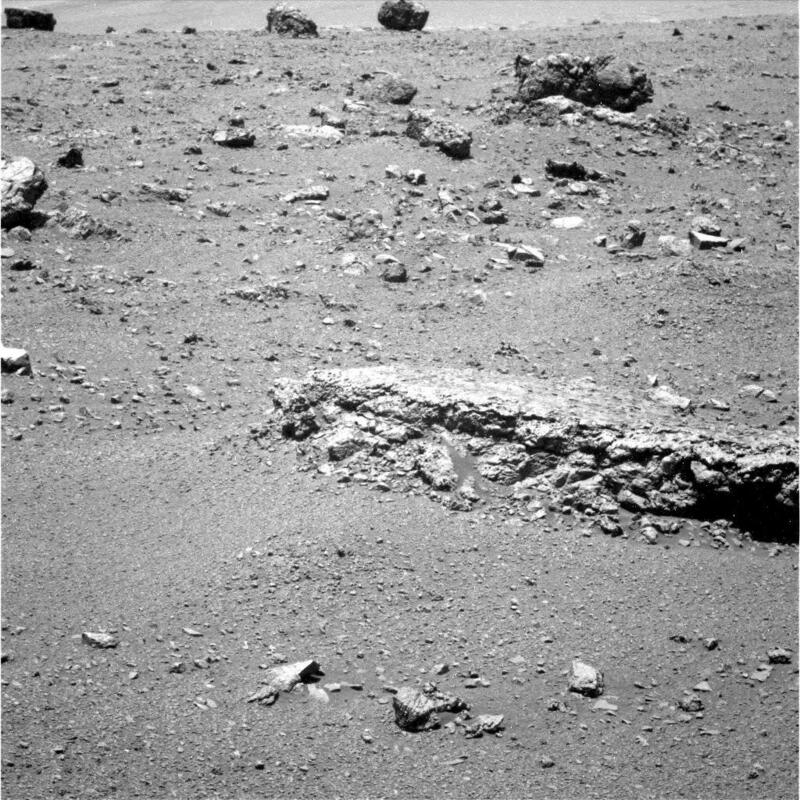 The flat-topped rock just below the center of this raw image from the rover Opportunity's panoramic camera was chosen by the rover team in August 2011 as a stop for inspecting with tools on Opportunity's robotic arm. This image was taken during the 2,688th Martian day, or sol, of Opportunity's work on Mars (Aug. 16, 2011), which was seven days after the rover arrived at the western rim of Endeavour Crater. The rock, informally named "Tisdale 2," displays a different texture than rocks that Opportunity has seen during the rovers' first 90 months on Mars.